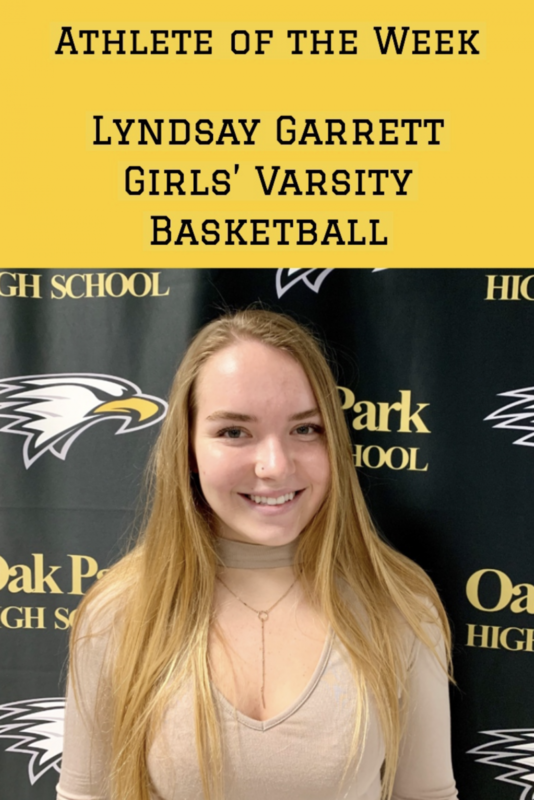 Senior and girls varsity basketball team member Lindsay Garrett is the Athlete of the Week for the week of Jan. 14. Garrett’s passion for basketball began ten years ago. 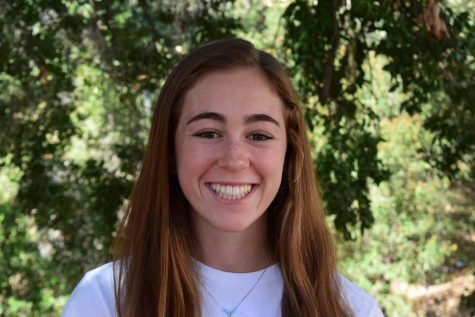 She enjoyed watching the sport on television, and when she was seven-years-old, she signed up for the Agoura Youth Basketball Association (AYBA). Garrett plays the sport for various reasons, and she views basketball as a way to stay healthy and relieve stress. “I’m a competitive person and basketball fits the category of competitiveness,” Garrett wrote to the Talon. The continual action of the game is one of Garrett’s favorite aspects. “My favorite part of basketball is the teamwork, patience and aggression that comes from the game. There is constant movement and scoring, which is exciting,” Garrett wrote. Garrett is not planning on pursuing basketball when she heads off to college in the fall. Girls varsity basketball coach Doris Park witnessed Garrett’s leadership skills as a captain and senior guard over winter break. “She is currently averaging nine points, seven rebounds, three assists, and two steals per game. In two tournaments over break, she really worked hard to help her teammates out off and on the court,” Park wrote to the athletic office. As Athlete of the Week, Garrett feels honored by her coach and team. “It means a lot that [they] see me putting in the hard work and doing the little things,” Garrett wrote.